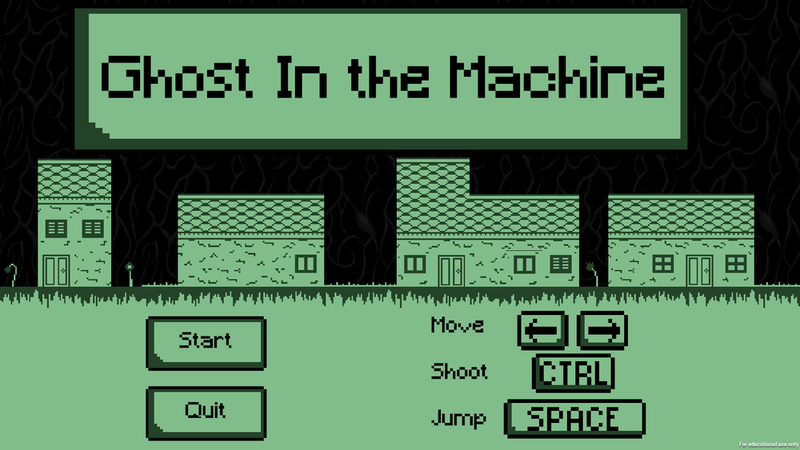 "Ghost in the Machine" was an experimental game which centered around the idea of a game that doesn't want you to play it. 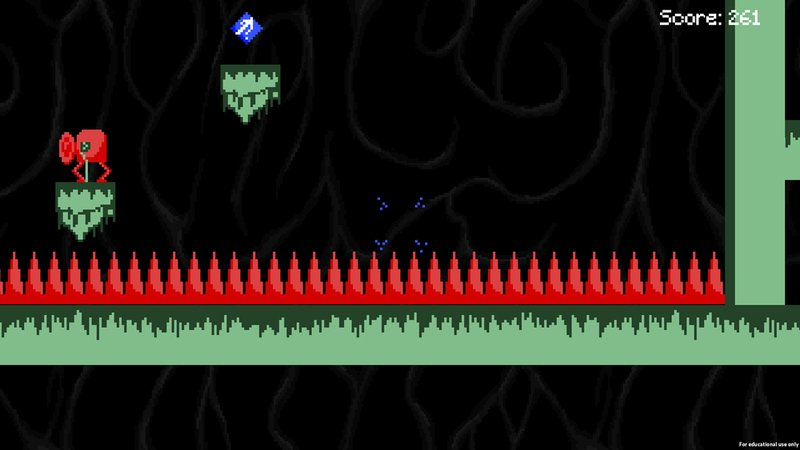 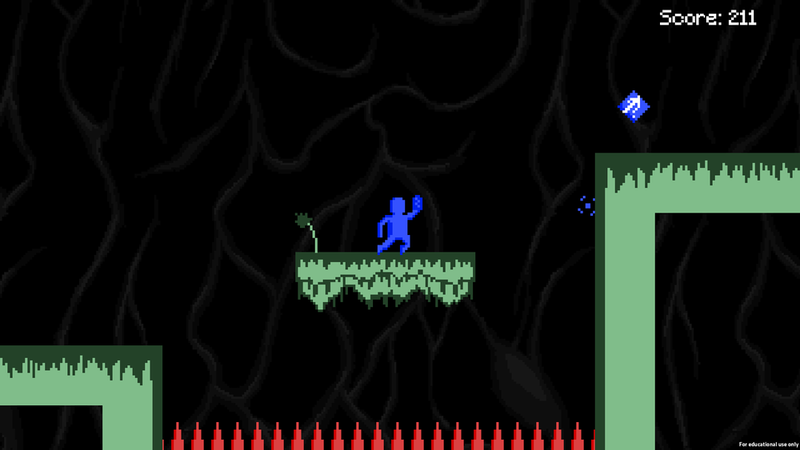 As player worked their way through what could be seen as a common-or-garden platformer, mechanics and values (such as jump height and run speed) would be randomised in order to frustrate the player, and convince them to leave. 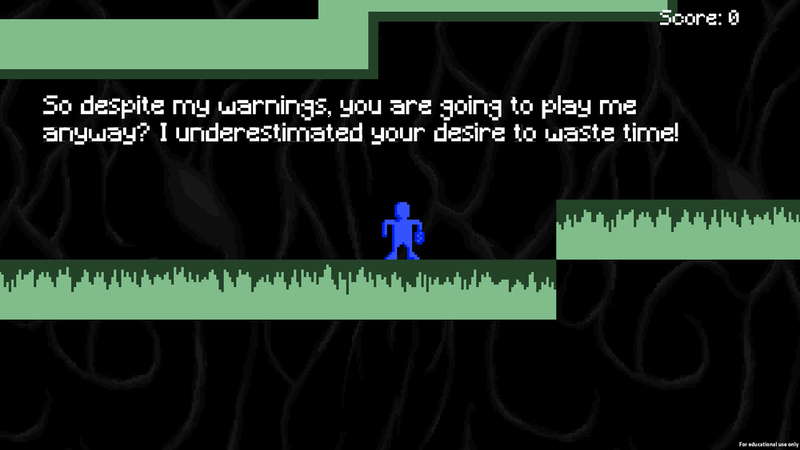 The "game" communicates with the player throughout the experience to taunt them for their failure to complete tasks. 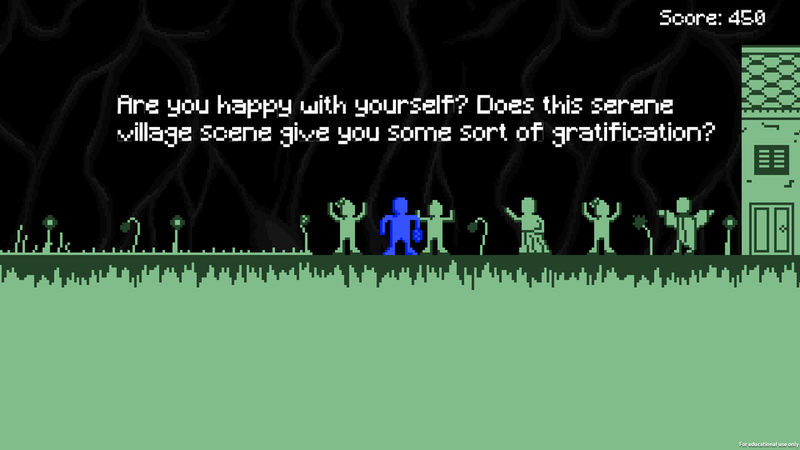 Main Contributions: Character Animation, Effect Animation, Background Art, Game Design, Level Design.